The new exhibit is large in scope and powerful in every way. If you haven’t made it to Fort Scott for our new Hall of Unsung Heroes, you must come and visit. 3,000 visitors have come to the Center since the beginning of May. 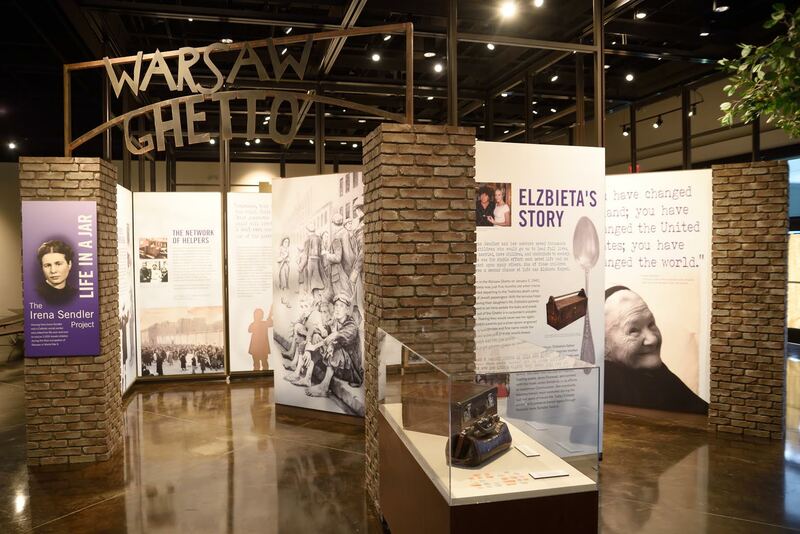 The Irena Sendler exhibit is the most popular of many featuring a number of artifacts from the Holocaust, plus some wonderful kiosks with video. Exhibit Associates of Kansas City did the professional paneling. They have also contributed to the Truman Library, Union Station, 18th and Vine and much more. The great story of Irena and the Life in a Jar kids continues on and on.